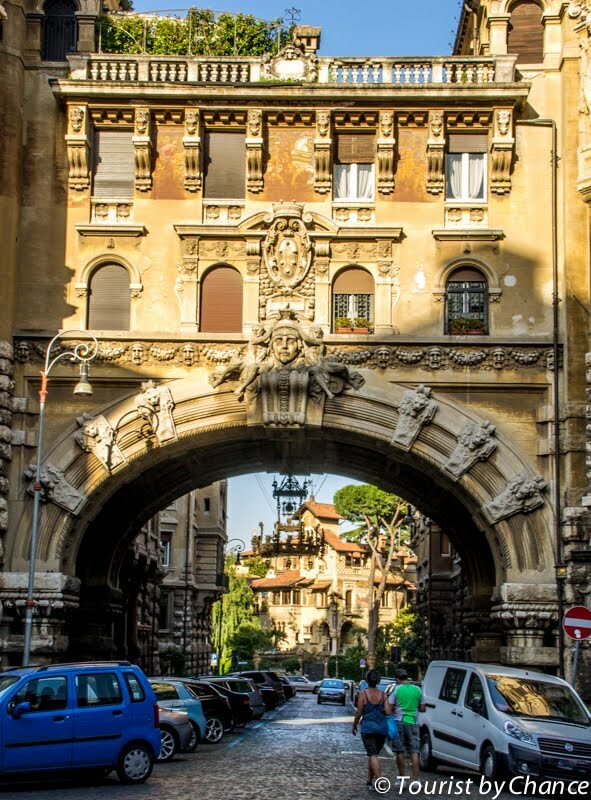 An exclusive neighbourhood in Rome, a perfect mix of various architectural styles, seemingly brought together to create a fairytale district. It’s different. 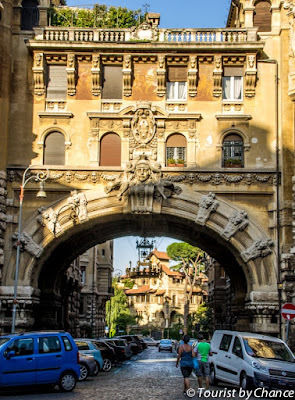 In a city that boasts some of the most iconic world heritage sites in the world, it is further proof that the Eternal City is full of amazing surprises. 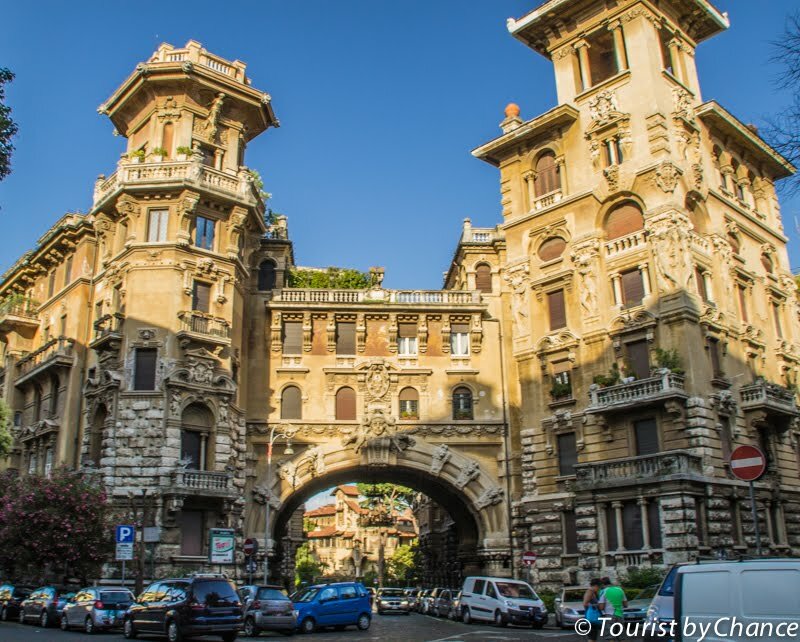 Quartiere Coppedè is located between Piazza Buenos Aries and Via Tagliamento, located 2.7km from Piazza di Spagna and 2.3km from Termini Station. Map. WELCOME TO QUARTIERE COPPEDÈ in Rome, Italy. For many of you, this is probably the first time you hear or read about it. 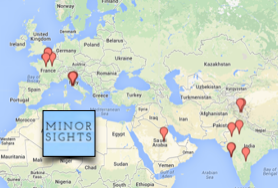 As with many of my discoveries, I get to know many of the ‘sights’ from talking to locals and friends. Coppedè was no different and I have to thank Cinzia for her recommendation. Quartiere Coppedè is named after the architect Gino - you guessed it - Coppedè. It was completed in 1924 and it is made of up of 26 small apartments and 17 Villas. 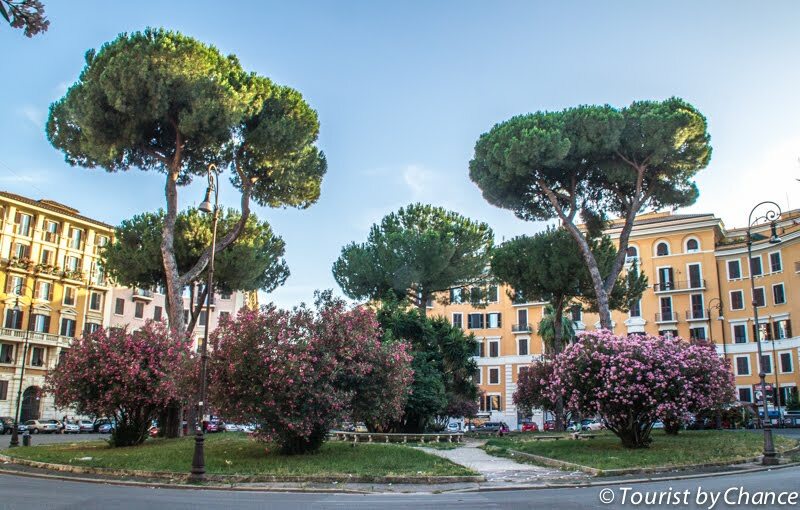 Located in the Trieste area of Rome, approximately 1km behind Villa Borghese, making it doable on foot when visiting Via del Corse, Piazza del Popolo and of course Villa Borghese. 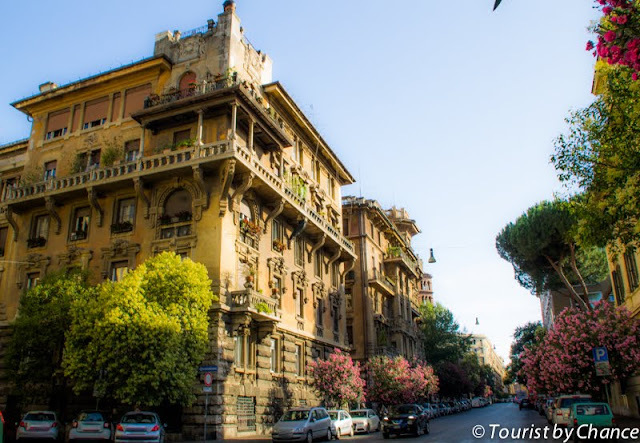 In short, Coppedè is simply one of the most exclusive districts of Rome and by far the smallest! Being one of the most exclusive areas of the Eternal City, the result is very expensive housing! 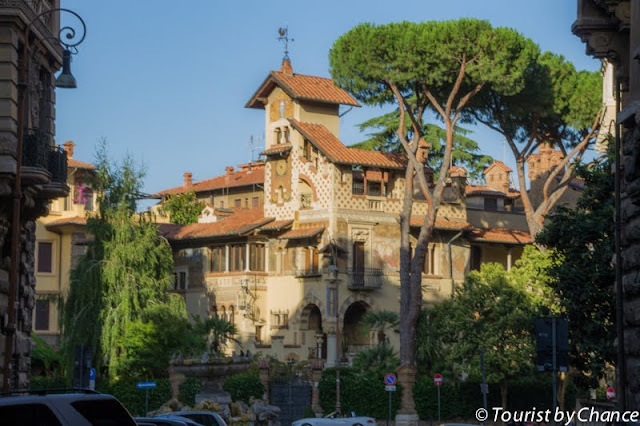 Houses in Quartiere Coppedè can sell over €10,000 per square meter! So a 100m2 apartment will go for around € 1-1.2 million! So you are thinking, what is so great about a bunch of houses for rich people? Well, they might not be the mansions of Beverly Hills but they are definitely better. What is captivating is the beautiful mix of architectural styles, influences of Medieval, ancient Greek, Art Nouveau, Neo-Classicism and Baroque, seemingly coming together to create a fairytale district. 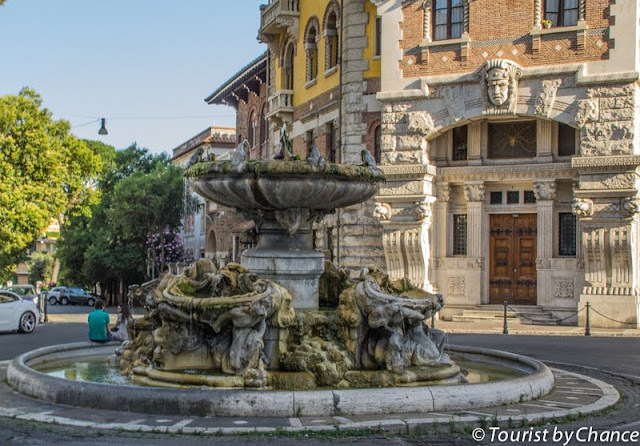 Once you get past the breathtaking entrance (Via Tagliamento) and start walking through the streets of Coppedè, you will follow the path to the beautiful Fontana delle Rane (the Frog Fountain) in the heart of the Quartiere - Piazza Mincio. Built in perfect Neo-Baroque style, the name derives from the fact that there are a number of sculptured frogs throughout the whole fountain. The particularity is its resemblance to Fontana delle Tartarughe in the Jewish Ghetto in Rome (Piazza Mattei), by Giacomo della Porta and the sculpture Taddeo Landini. It is said that the Beatles danced, fully clothed, in the fountain following a concert in the nearby club Piper! Just another reason to visit. 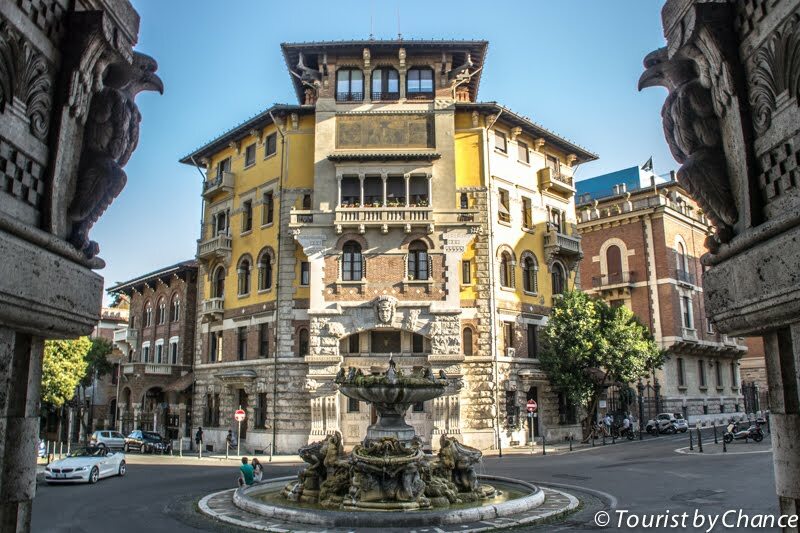 It is not only the names such as Palazzo del Ragno (Palace of the Spider), Villini delle Fate (Villas of the Fairies), and Fontana delle Rane (the Frog Fountain) but it is the whole feel of the district that looks and feels surreal! Villas of the South African Fairies. Cool Fact: Today, the Villas of the Fairies are home to the South African Embassy. Does it not seem like something out of book? Pretty cool office space if you ask me! But do not stop at Piazza Mincio! In true traveler style, discover the surrounding area. The whole surrounding district is gorgeous, even as you exit Coppedè, the streets are lined with beautiful trees, vibrant colors and more gorgeous buildings. Escape the hustle and bustle of the main attractions of the city and step inside Quartiere Coppedè, you will not be disappointed. Your camera will thank you too, as you will not have hoards of people with selfie sticks in the way! 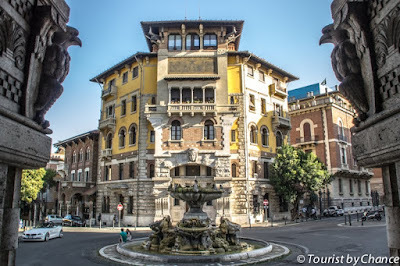 You are best to go on foot, so take a metro/bus to Termini Station and do the pleasant 30 minute walk. You will know when you have arrived, when you see a big arch way on Via Tagliamento. Alternatively, buses 92 and 38, always from Termini Station will get you to Viale Regina Margherita, 100 meters or so from the entrance, Via Tagliamento. Valter is a digital marketer by trade and photographer by passion. Born in Pisa, he has lived in 5 countries, including Italy and after a 14 year hiatus, has returned home to the motherland. He is a travel, wine, food, photography and football ‘fanatic’ and in his spare time, he works full time. Valter started his blog Tourist by Chance in 2016, not only to showcase the wonders of Il Bel Paese but also a way to reconnect with home.